Does My Business Need a Facebook Page? Our clients often ask us about social networking and if they need to be on Facebook. The answer is “YES! You absolutely need to be on Facebook”. The hard truth is, even though you may have a fantastic website, chances are your customers will not be visiting it every day. Those numbers are beyond staggering. It is hand’s down the most powerful network with the largest audience reach your business can harness. You NEED to be apart of this. Facebook business pages are used to establish another connection with your customers. It’s not a market place to sell your services or products. If you try this, people will not respond favorably to your sales pitch day after day. Either will Facebook. If they think you are spamming, you will be banned. Harsh, but true. Facebook is place to develop relationships with people that are interested in your business. Believe it or not, customers enjoy learning about the human side of your organization, witnessing your day to day events, checking out you office photos, whatever. Each time someone reads your post, your company name is top of mind, which is key for brand recognition. But don’t stop there, it’s equally important to participate in conversations, ask questions, engage your network. You’ll need to allocate staff to monitor and participate in discussions. When your customers discover that there are actually real people there, their appreciation for you will grow – as will their willingness to let others know about you! Facebook business pages are free and easy to manage, but you may need help with some advanced features. We can help! 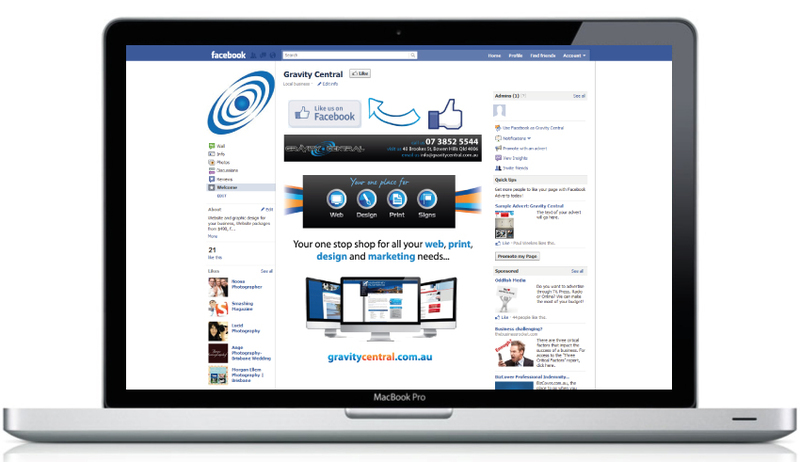 We provide a number of options/services to brand your Facebook page. View our new facebook landing page below! …and dont forget to like us on facebook!